Seongnamdong/Shinae/Old Downtown: JJ’s and Royal Anchor are teaming up for a wild St. Patrick’s Day party near Shigaetap on Saturday. Royal Anchor – ST. PATRICK’S DAY SPECIALS!!! Opening at 7:00 with free food!!! -Live Music! Squirrels From Hell playing at 9:30! -Mr. Kim is in the mood to uphold his LONG standing tradion of an epic St. Paddy’s Day Party. Don’t be suprised if he starts handing out shots like candy. 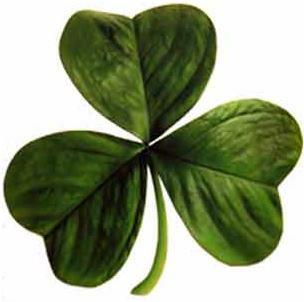 JJ’s Bar – ST. PATRICK’S DAY PARTY AT JJ’s: We are opening at 6:00 to get the party started early! SMOKE FREE!!!! -₩6,000 Sam Adams Boston Lager Bottles. –The Pyramid Scheme will be playing 20 songs you love and know starting at 9:30! –Irishman D.J. Richard Roban will be putting a solid blend of popular groove tunes and traditional Irish songs to carry us through the rest of the night. Wear your green and see you at 6:00!! Sticky Fingers – Live music from 4 different bands on Saturday night. 5,000won cover. 1.Heech o’ hops double IPA(alc 8.0%)—-₩8,000. 2.Brother david’s abbey style ale(alc8.7%)—-₩8,000. Cima – has yet to annouce anything as Al was out of town, but there will likely be Irish themed drinks specials, Irish themed music, and Irish themed “Wheel-of-booze” based on past years activities. Pub-HQ has a special on the 15th and 16th – Wear a green top (t-shirt/blouse) and get 2 Guiness or 2 Kilkenny free! Wear an Irish costume and you have a chance at winning a bottle of Jameson’s Irish Whiskey (to be kept on HQ premises). And their sister bar, HQ Underground has a live band “Tracks” from Okpo starting at 10pm and playing until late. Here’s to the wine we love to drink, and the food we like to eat. Here’s to our wives and sweethearts, let’s pray they never meet. Here’s champagne for our real friends And real pain for our sham friends.